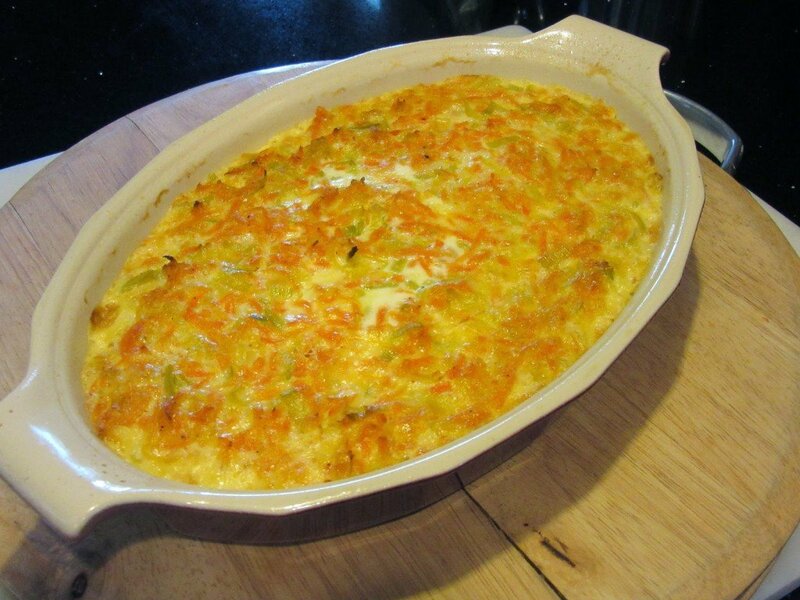 This incredible tasting Carrot and Leek Gratin will surprise and delight your taste buds with sweet carrots, mildly pungent leeks and the lightest touch of horseradish. I’m sure we can all agree; it’s a beautiful cover for a cookbook and one that makes you want to open its pages and dig into the recipes. I had the great pleasure of doing just that, and now so can you! 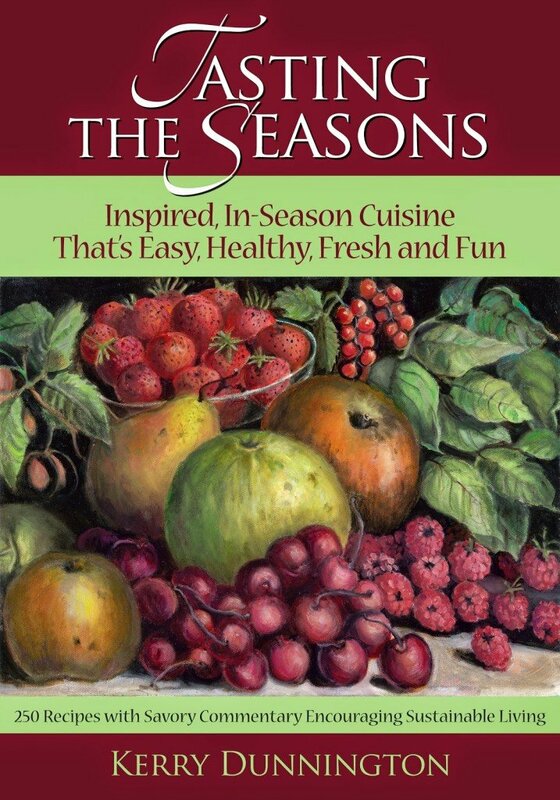 Together, Kerry and I are offering one lucky winner their own signed-by-the author copy of Tasting the Seasons. But more on that later. 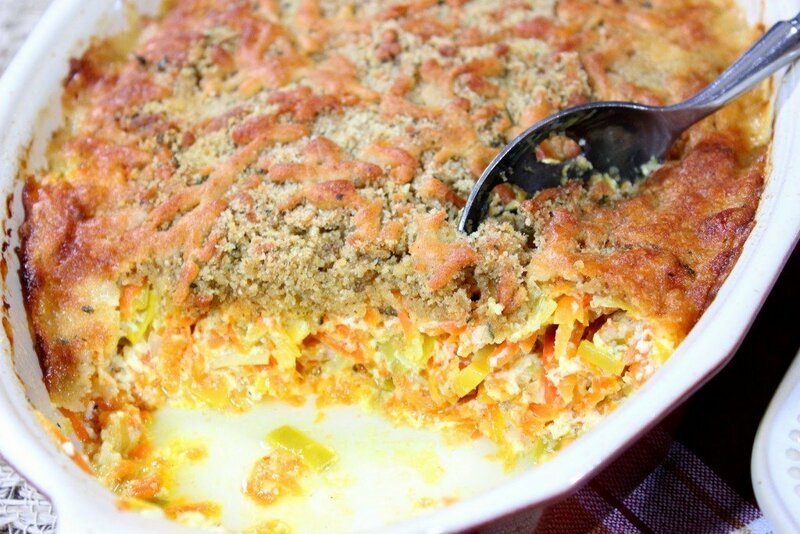 First, let me whet your whistle a little more about what you can expect from this beautiful book, and then get your fork ready to dive into Kerry’s delectable Carrot and Leek Gratin. And, if all that wasn’t enough Kerry also shares her ideas and strategies for successful entertaining, along with a chapter on how to choose and prepare foods incorporating ecologically sound principles. In addition, Kerry shares informative food-related information, such as what those little stickers on produce are really telling you. She’ll then give you tips on how to turn that produce into an attractive table centerpiece for your next dinner party, and then how to turn it into something tasty to eat. I know, right? Kerry’s got you covered! This cookbook is so packed with valuable information, and amazingly mouthwatering dishes that once you pick it up, you won’t be able to put it down! 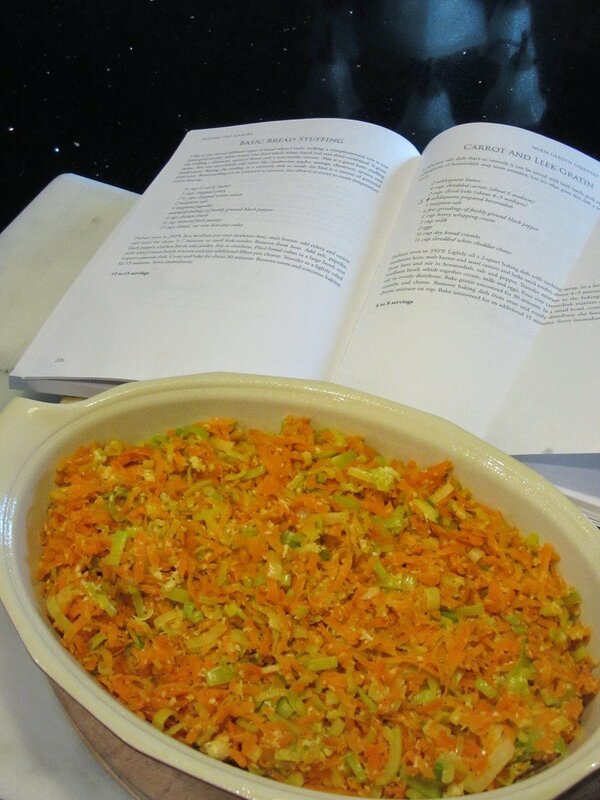 And now without further ado, here is Kerry’s recipe for Carrot and Leek Gratin (found on page 207). The only small adjustment I made to Kerry’s original recipe is that I cut back on the prepared horseradish from five tablespoons to three. Other than that, this is Kerry’s recipe to a T.
-Prepare a 2 quart baking dish with a light spray of cooking spray. Set aside. -In a large sauté pan over medium heat, melt the butter. Add the carrots and leeks and cook until tender (about 4-5 minutes). Remove from heat and stir in the horseradish, salt and pepper. 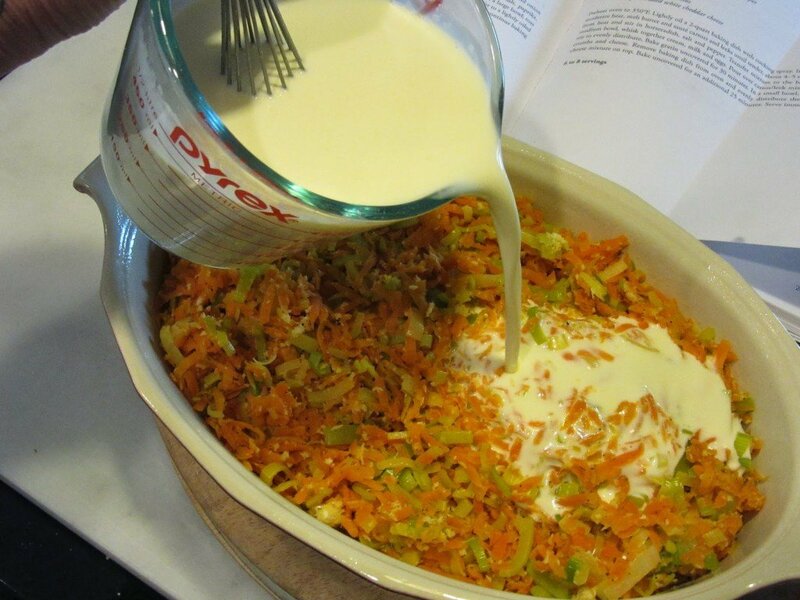 Spoon the carrot and leek mixture evenly into the prepared baking dish. -In a medium bowl, whisk together the heavy cream, milk and eggs. 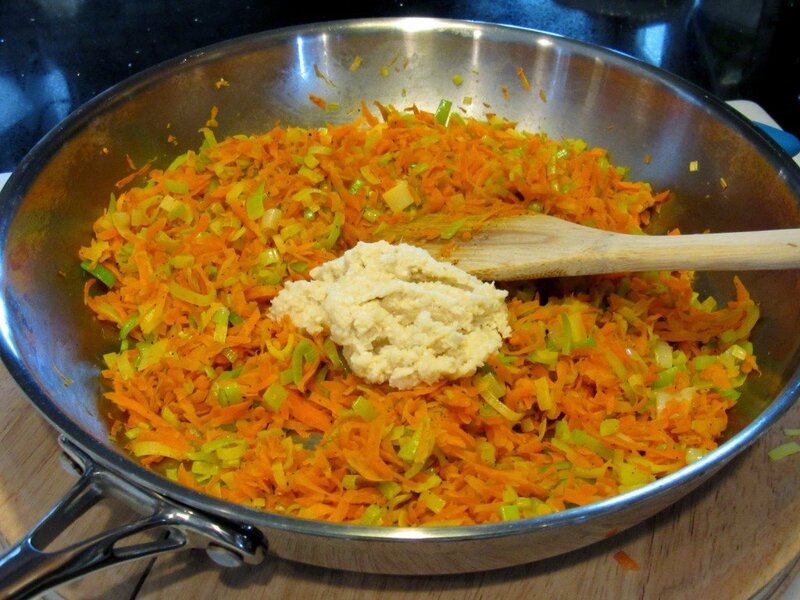 Pour the milk and egg mixture evenly over the carrot and leeks. Bake uncovered in a preheated oven for 30 minutes. -In a small bowl, combine the bread crumbs and cheese. 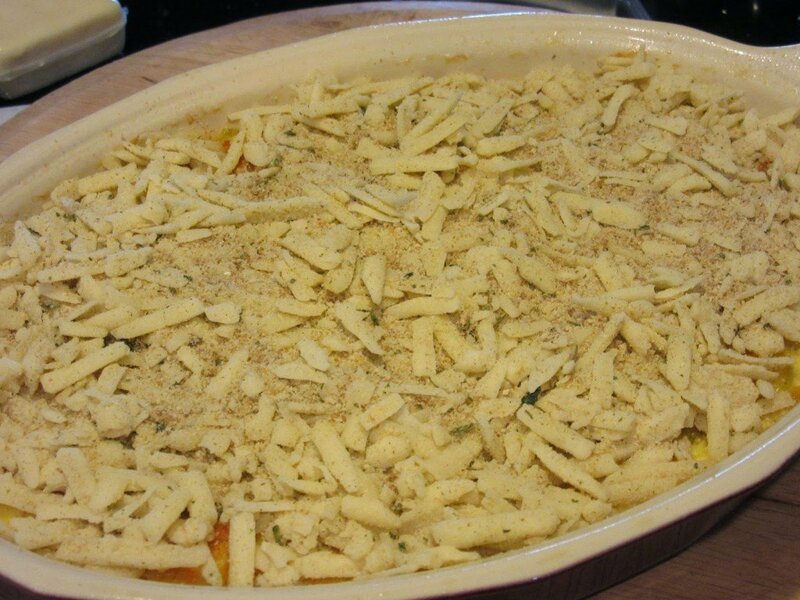 Remove the gratin from the oven and distribute the bread crumb and cheese mixture evenly over the partially baked gratin. Replace the gratin back into the oven and bake uncovered for an additional 25 minutes or until the cheese is nicely browned. 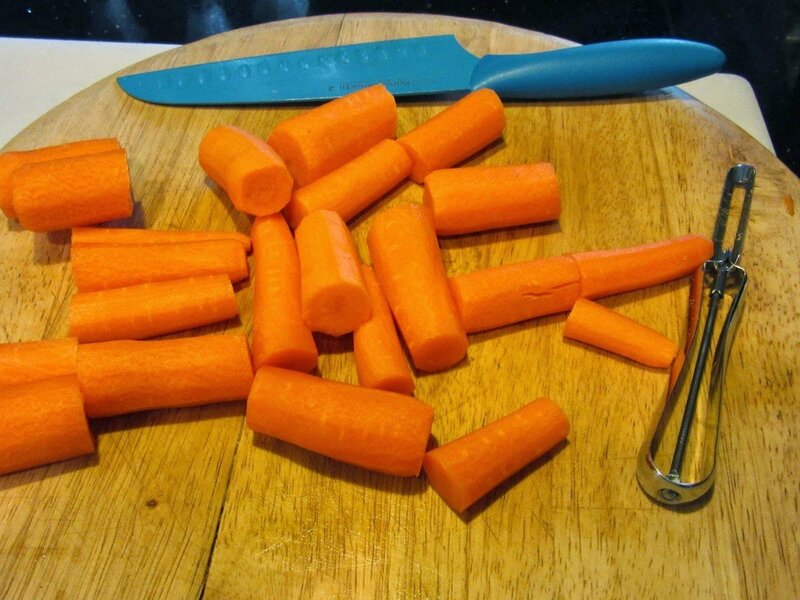 Prepare the carrots by using a food processor fitted with the shredding blade, or grate the carrots on a box grater. 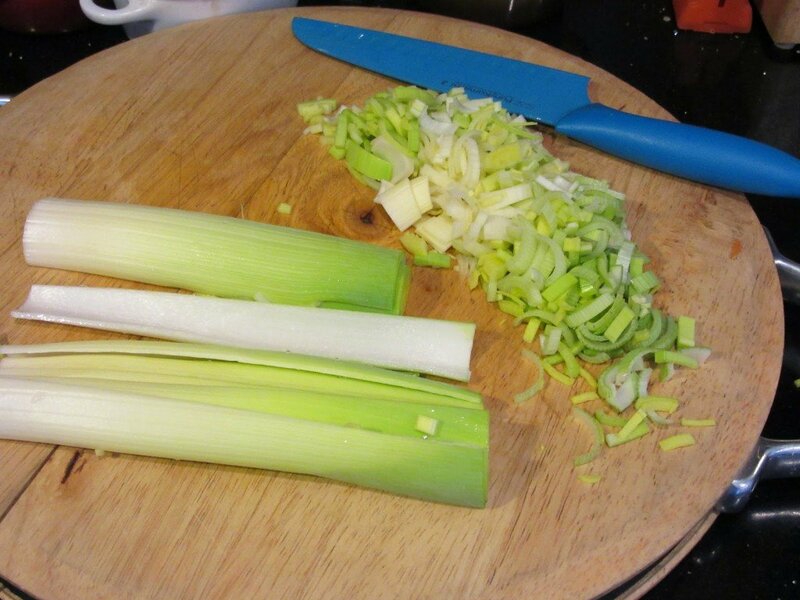 Clean the leeks well in a sink of water to remove the grit in between the layers and slice the leeks thinly. 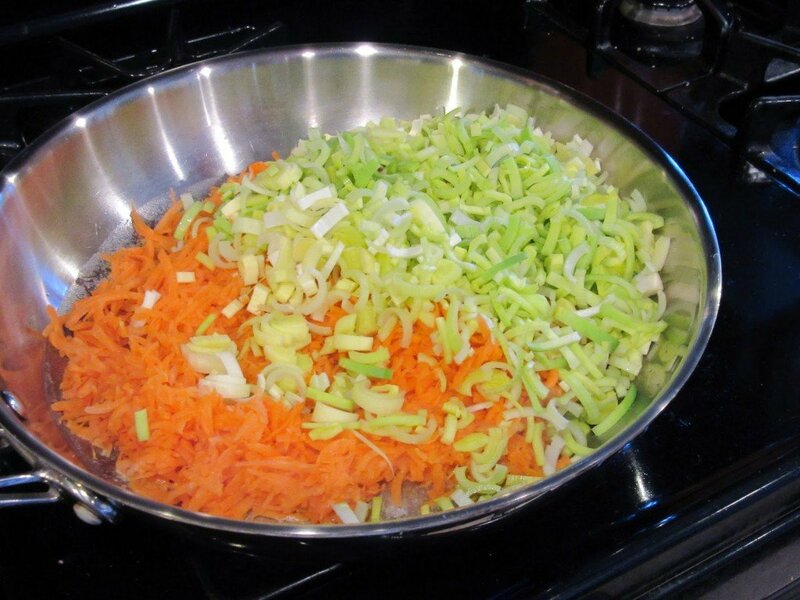 Sauté the shredded carrots and leeks in butter until tender. Remove the pan from the heat and stir in the salt, pepper and prepared horseradish. 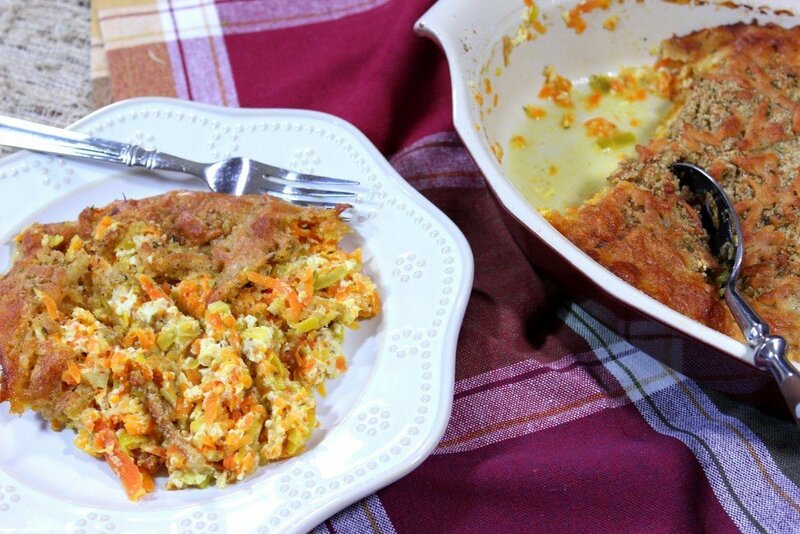 Spoon the carrot and leek mixture evenly into a prepared baking dish. In a medium bowl, whisk together the cream, milk and eggs. 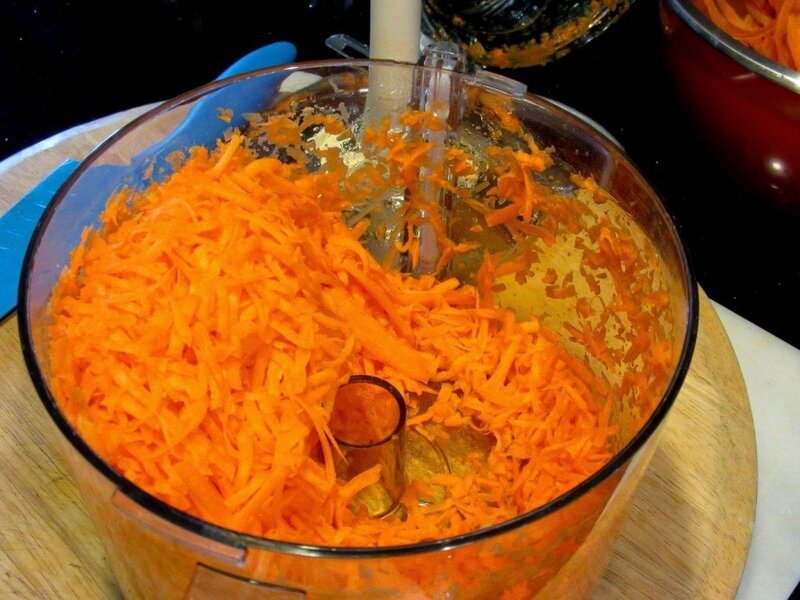 Pour the milk and egg mixture evenly over the carrots and leeks. Bake in a preheated 350 degree oven for 30 minutes. 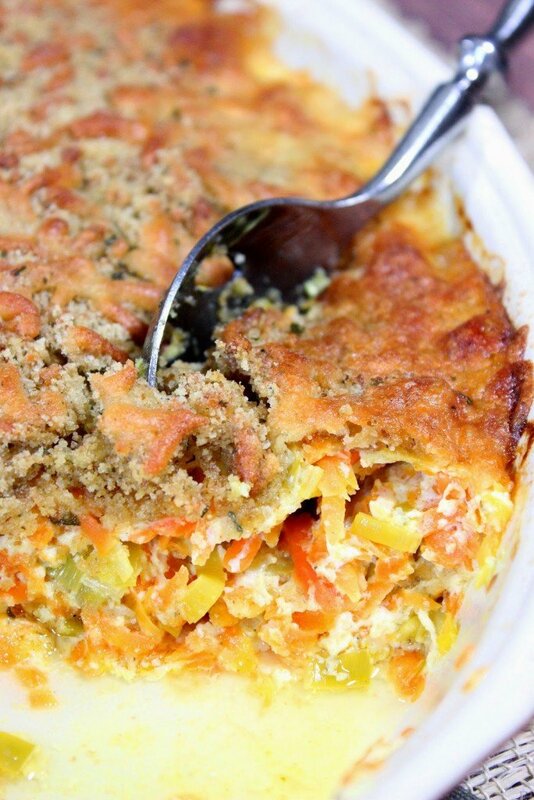 Remove the gratin from the oven. 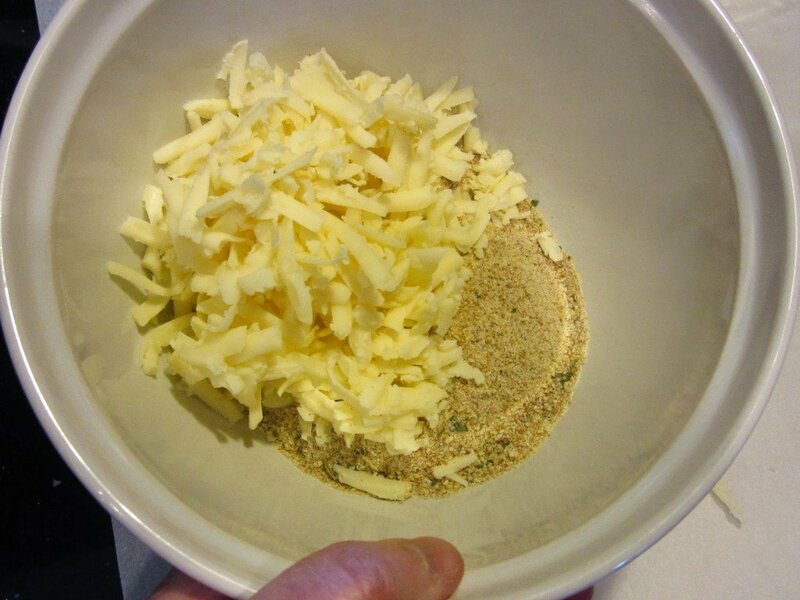 Mix tegether the bread crumbs and shredded cheese. 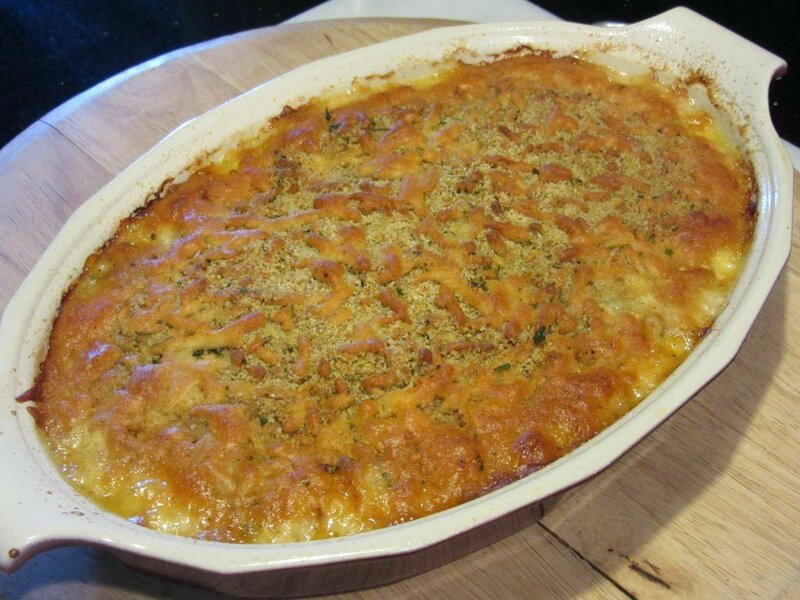 Distribute the cheese and bread crumb mixture evenly over the gratin and place the gratin back into the oven and continue baking for 25 minutes or until the cheese is nice and golden brown. 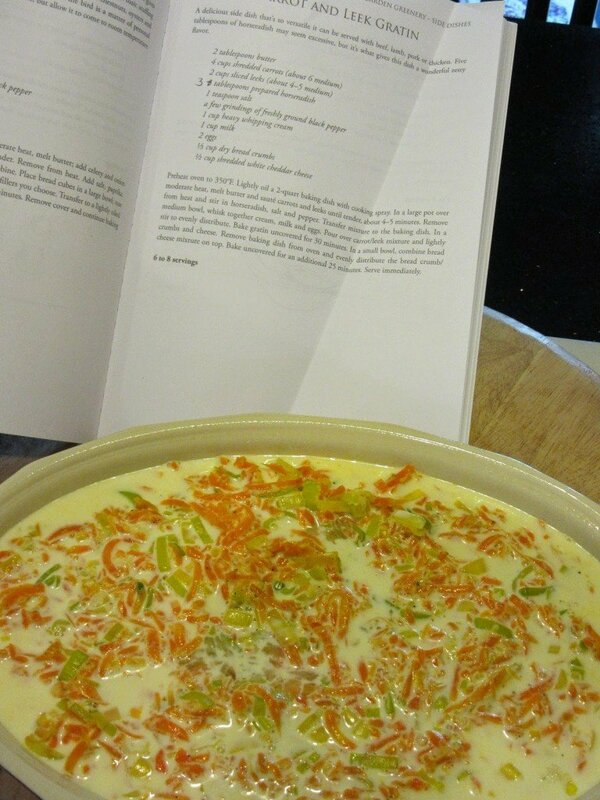 When I was in contact with Kerry about the recipe I finally chose to make from her book (believe me, I had a very hard time choosing), this was her response: “Carrot and Leek Gratin is a crowd pleasing recipe, people come back for thirds.” I can see why, Kerry! 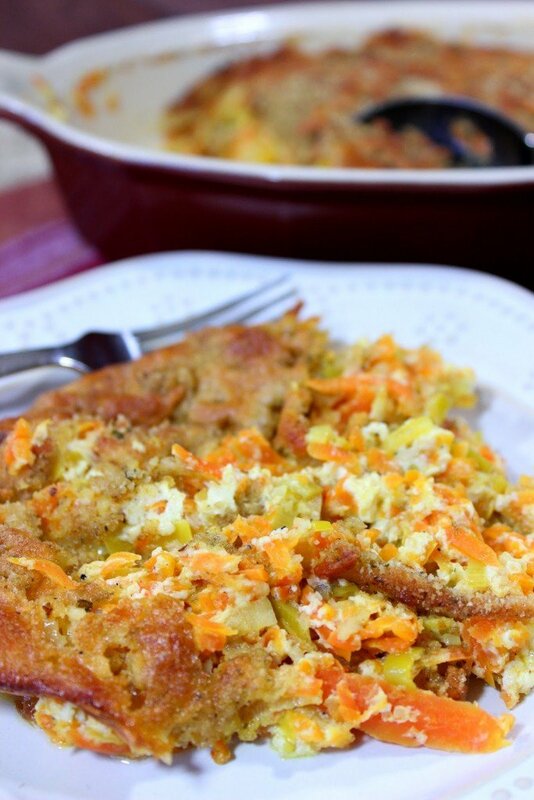 This is one of the tastiest side dishes I’ve ever had, and I look forward to having it grace our Easter dinner table this year. THIS GIVEAWAY IS NOW OFFICIALLY CLOSED. THE WINNER OF THE COOKBOOK IS………LINDA MIRE! CONGRATULATIONS, LINDA. I WILL BE IN TOUCH WITH YOU SHORTLY IN ORDER FOR YOU TO CLAIM YOUR PRIZE. This giveaway runs until March 8th and is open to US residents only. The winner will be notified via email that they have won and will have 24 hours to claim their prize (and send a mailing address) or another winner will be drawn. Thank you to all who enter. Kerry’s cookbook is now one of my favorites, and it’s definitely one I am very proud to add to my collection. I know you’ll feel the same way as I do about this beautiful book. For more of Kerry Dunnington’s cookbook selections, please click here. And don’t forget to visit Kerry’s website here. Well, in this season, it's the root vegetable family, but in spring I get giddy about asparagus. Every season it is something different. Summer it's tomatoes, fall – greens of all kinds, winter- sweet potatoes and other root veggies and spring – lettuces and asparagus. Any root veggie, or tomatoes in summer! In the summer, lots of bell peppers and onions. Every season offers something wonderful. I am all about leeks lately, which is what led me to this post. I will definitely be trying this recipe out soon! I love leeks and zucchini, but then again I'm a vegetable lover. This sounds like a wonderful cookbook…so many inspiring recipes! I love the kick of horseradish in this pretty gratin. Mmmmm I love veggies and I looooove cheese. This sounds so yummy! In the summer I always have an abundance of zucchini, so everything gets bit of zucchini in it! I love the sound of this vegetarian recipe and the cookbook looks lovely! 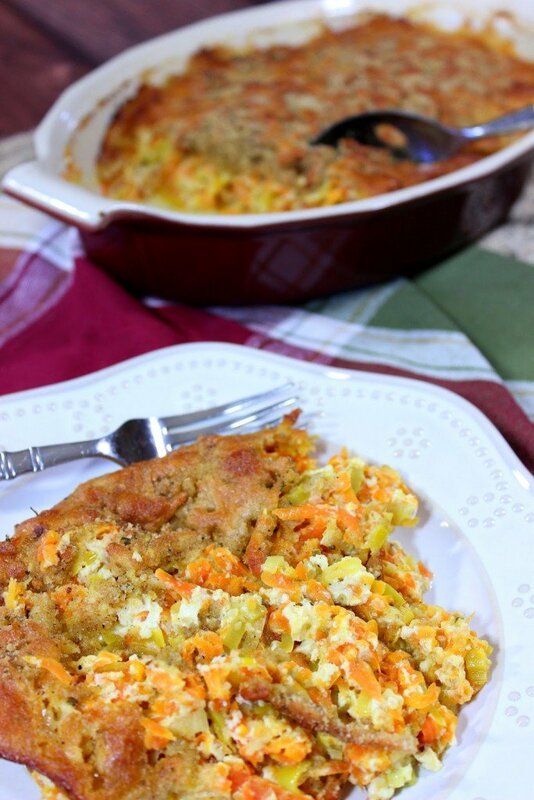 I bet this dish would be awesome at the Thanksgiving table, and the Easter table – I definitely want to try it! I think everything is better seasonally, but especially fresh, ripe berries! The carrot and leak combination is just perfect; nice review. Love the cover of that cookbook. I'm a leek fanatic. It's so under-rated by so many people. This looks so scrumptious. I think that pumpkin is probably my favorite! I just love cookbooks like this. 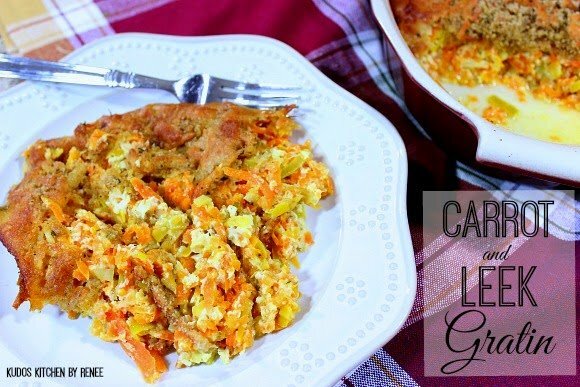 They can be such a great referene and this gratin looks great!